A surprising number of accidents occur because of dangerous road conditions. Typically, these kinds of accidents only involve a single car, and often there is no evidence of speeding, distracted driving, or driving under the influence. Most of these accidents end with the vehicle colliding with a fixed object and creating large amounts of damage. If you have been in one of these accidents, you will need to file a lawsuit in order to collect compensation for these damages. A Salt Lake City dangerous road accident lawyer can assist you in demonstrating that the poorly maintained road was to blame and not your driving. Potholes, missing signs, and unpainted roads are some of the most common road hazards that lead to accidents. These are all indications of negligent maintenance, which makes whatever agency responsible for the road’s upkeep also responsible for your accident. It can be a challenge to figure out who is responsible for maintaining a road and how to best approach your lawsuit. A Salt Lake City dangerous road accident lawyer can help you determine not only who was at fault, but also how to hold them accountable and for how much compensation. Sometimes it’s not an issue of maintenance, so much that the roads simply weren’t well-constructed to begin with. This may mean that a construction company is at fault for your accident instead of—or possibly in addition to—the agency responsible for maintenance. Government agencies are typically responsible for road maintenance. These agencies often have excellent legal representation that will attempt to blame the driver for an accident. These are not attorneys you’ll want to risk challenging without sound legal advice. Also, any time a government agency is involved in a lawsuit such as this, it becomes imperative to act as quickly as possible. While the statute of limitations is normally two years, it’s limited to just six months in suits against the government. Your Salt Lake City dangerous road accident lawyer will need to present a strong argument that the road was responsible for your accident. This must be done within the time constraints of the statute of limitations, so time is of the essence. You deserve financial compensation for the injuries and damages you have suffered due to dangerous road conditions. 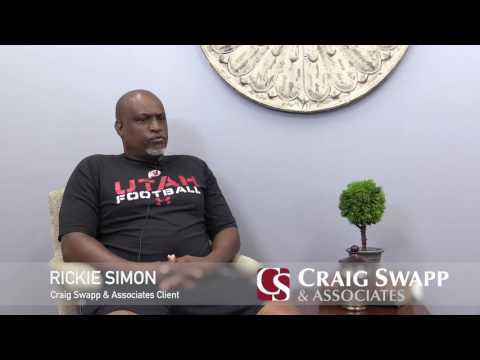 To discuss your case and your options with an experienced Salt Lake City dangerous road accident lawyer, contact Craig Swapp & Associates by calling 208-331-0167 or reaching us online.